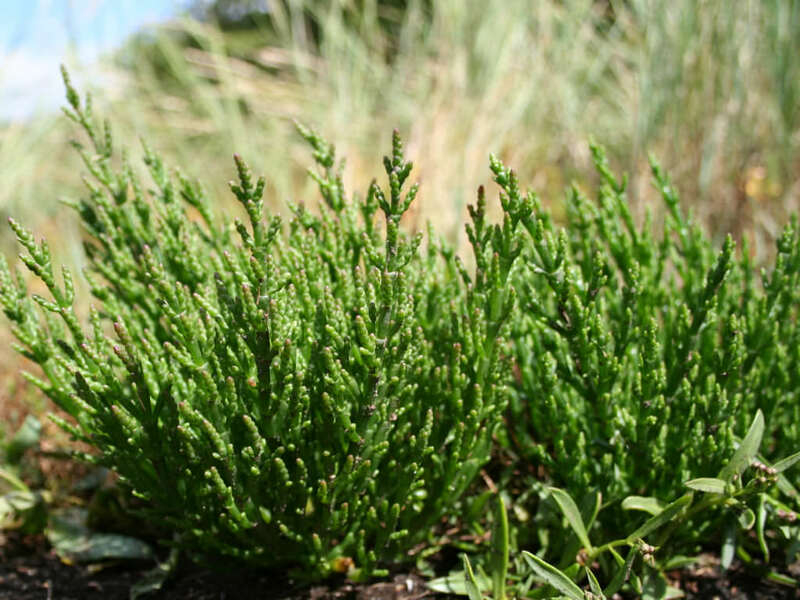 Salicornia europaea is an annual succulent, with much-branched, fleshy stems, growing up to 1 foot (30 cm). The leaves are actually the part that you see. 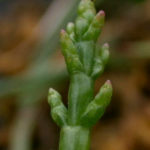 These are like tubes surrounding the stem, and extend from one stem-joint to the next. It is in flower in August, and the seeds ripen in September. 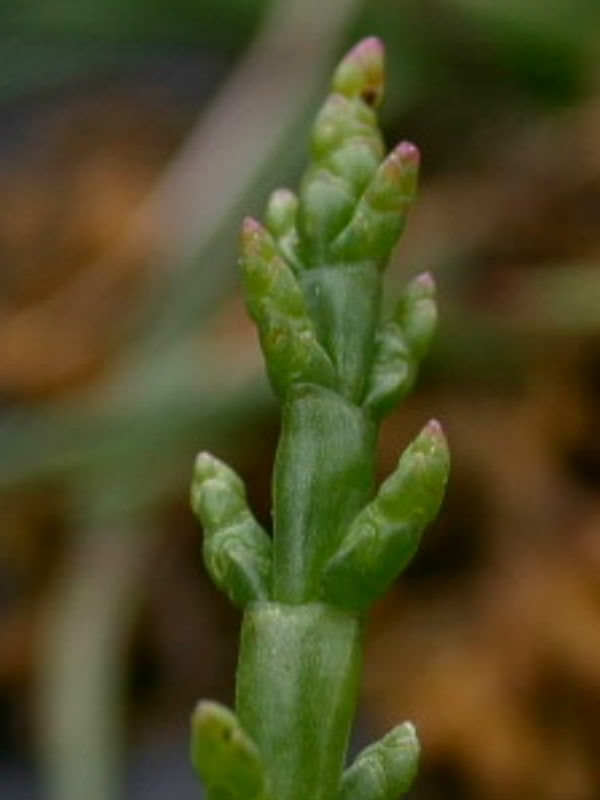 Flowers are very small and hermaphrodite (have both male and female organs). 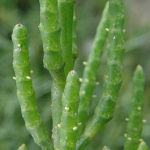 Salicornia europaea traditionally grows along the coast. 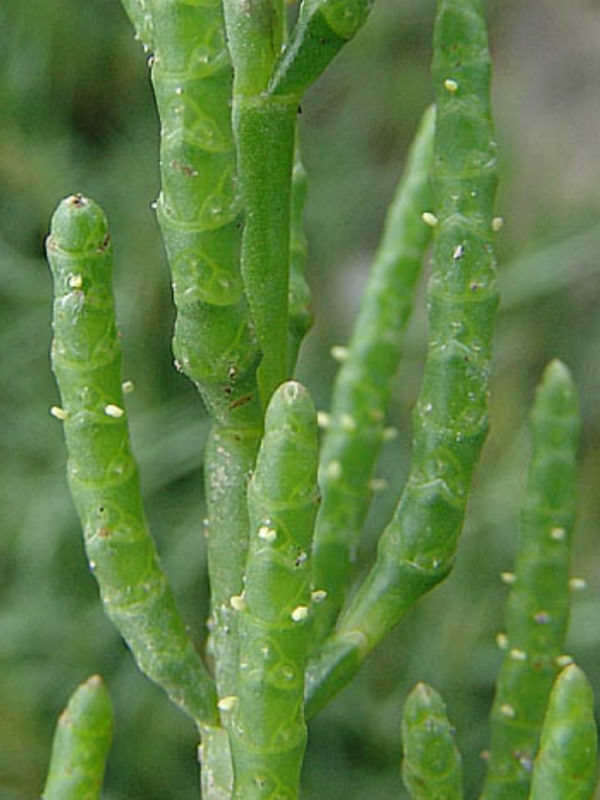 Once described as the poor man’s Asparagus this is now fast becoming a trendy garnish in many of the gourmet restaurants. 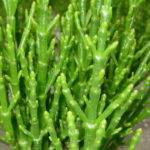 That said, this is a fantastic vegetable in its own right or can be made into a wonderful pickled vegetable… – See more at: Sea Asparagus – A Brilliant Little Green Miracle. 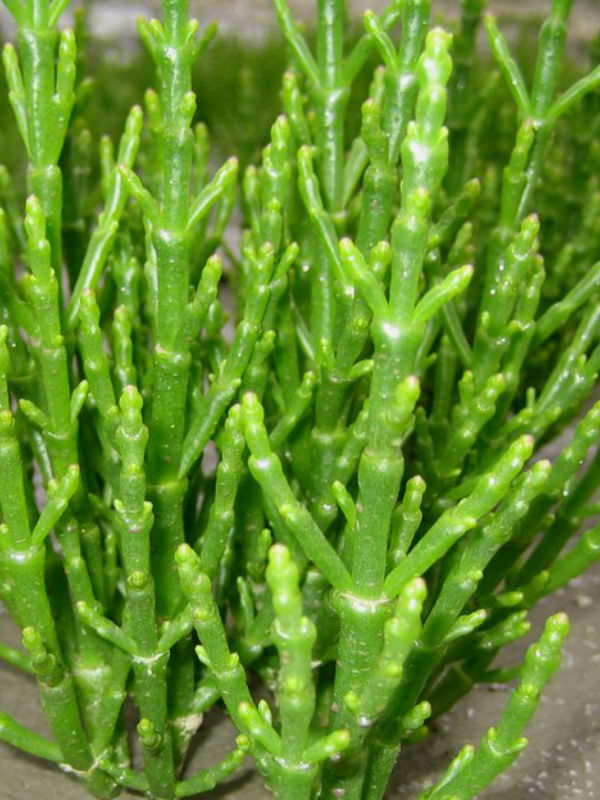 Native to the coasts of western Europe, including Britain.